Design Intelligence Award (DIA) is an internationally recognized academic award in industrial design established in China, 2015. It is a platform for evaluation, promotion and communication of design, an interdisciplinary competition encompassing art, technology and business, and a bridge to link ideas to industry. DIA returns to the design origin of making things with human intelligence, advocates that “design is the carrier of culture, reflection of national strength, wisdom of life, source of innovation”, and plays the role of bringing world-wide creativity to lead an intelligent future. DIA will annually propose important issues of present and the future, to further lead social and industry development. DIA 2018 mainly focuses on upgrading of traditional industries, development of intelligent manufacturing, solutions of the aging society. DIA covers product design and system design integrating products and services. Demonstrating humanistic care and aesthetic quality, including Home Furniture, Lighting Facility, Tableware, Souvenir, Stationery, Packaging, Fashion, Social Innovation, etc. Focusing on lifestyle innovation, including Household Appliance, Kitchen & Bathroom, Digital Device, Elder, Mother & Baby, Sport & Leisure, Disaster Prevention, Smart City, etc. Promoting intelligent manufacturing and industrial upgrading, including Transportation, Health Care, Office, Tool, Construction, Agriculture & Forestry, Manufacture, Military, etc. Exploring innovative application of technology, including New Energy, New Material, The Internet of Things, Cloud Computing, Big Data, Virtual Reality, Robotic, etc. Design Yiwu (Theme: Original Brand and Product Innovation). Focusing on original brand strategy and product innovation under new business model. Focusing on the daily-life relevance innovation, including Household, Fashion & Wearable, Leisure, etc. Focusing on the culture relevance innovation, including Education, Cultural Communication, Gift, etc. Focusing on tourism relevance innovation, including Souvenir, Luggage, Outdoor, etc. Focusing on high-tech innovation, including Smart Home Appliance, Wearable Device, Robotic, etc. Focusing on application and innovation on 3D printing. Focusing on application of 3D printing in biomedical field, including Biomimetic Design, Health Care, Medical Equipment, etc. Focusing on development of 3D printing materials, including Low Cost Material, Tensile Material, Sustainable Material, etc. Focusing on application of 3D printing in everyday life, including Lighting, Entertainment, Customized Gifts, etc. Any enterprise, design agency, research institution and individual from any country or region can register. Qualified entry should be: 1) Product without any intellectual property dispute; 2) Product already listed in the market within 2 years or Prototype which can be delivered and displayed by the Second Evaluation (March 17, 2018). The same entry is not eligible to apply for both DIA Award and DIA Special Award (including Design Yiwu and Design Shining). 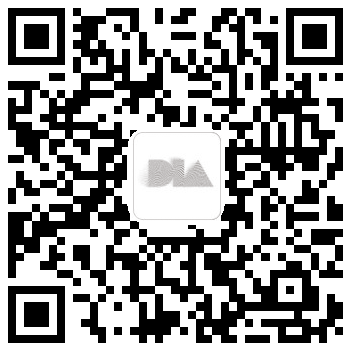 For DIA Award, entry is accepted either by public registration or expert nomination. For public registration, the participant shall register/login via DIA official website (www.di-award.org). The nominated participant shall register/login via the exclusive link sent by DIA nominator and fill in the nominator’s information. Submission date for DIA Award is between September 19, 2017 12:00am (GMT +8) to January 19, 2018 11:59pm (GMT +8). No fee will be charged and any late submission will not be accepted. The DIA evaluation system combin grouping review and comprehensive review, including three stages: preliminary evaluation, second evaluation and grand final. For Preliminary Evaluation, entries will be evaluated online by images and text materials (preliminary shortlists shall deliver the entry to the second evaluation). For Second Evaluation, entries will be evaluated on-site with physical products (TOP100 winners and candidates for grand final come out). For Grand Final, candidates will compete by on-site defense (each prize winners come out). The entries of public registration are required to participate in the preliminary evaluation. The approved entries of expert nomination can skip the preliminary evaluation. The nominator and jury will work independently to ensure the fairness. The “DIA Evaluation System” is created under the new industrial revolution background, including three hierarchies of criteria: 1) The Fundamental Criteria focus on the “Principles of Design”, covering functionality, aesthetic, technicality, experience and sustainability. 2) The Advanced Criteria emphasize the “Direction of Design”, spanning contribution to humanity, industry and the future. 3) The Top Criteria stress the “Impact of Design”, in regards to social influence and industrial development. DIA introduce worldwide multidiscipline experts spanning from relative fields of design, technology, commerce, etc. as jury members. All winners will receive a trophy and a certificate. All winners will be authorized to have a lifelong right to use the DIA badge on the awarded entry. All winners will be invited to attend DIA Conference and Award Ceremony, and given the opportunity of communicating with representatives from various fields of design, technology, commerce, etc. around the globe. All participants of Second Evaluation will be invited to participate in DIA Annual Exhibition. 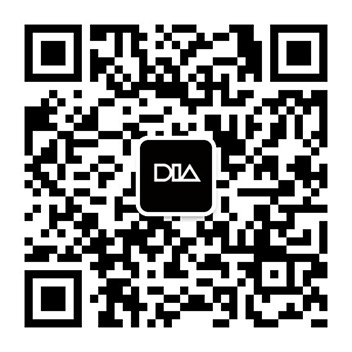 Participant who is willing to donate physical entry to DIA Committee is admitted to participate in DIA Annual Exhibition Tour, and be issued a DIA Collection Certificate. 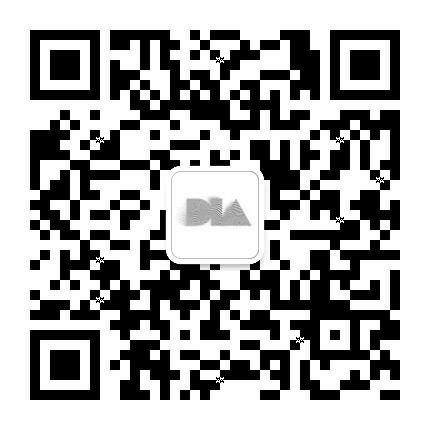 DIA Industry Platform integrate over one hundred venture capitals, incubators, manufacturing enterprises and local government etc., aiming to provide supports of finance, technology, administration, IP protection, etc. to all participants. Design Yiwu award winners are given priority to enjoy industry support policies of the Yiwu Government. Design Shining shortlisted entries with technical feasibility could apply service of 3D Printing Model supported by Hangzhou Shining 3D ePrint Tech Co., Ltd..
DIA has been established a global promotion network with more than hundreds of mainstream media covering different field and channels. The Grand Final, DIA Conference and Award Ceremony and other important events will be broadcasted through Zhejiang Satellite TV and broadcast live on the Internet, which will further enhance the social influence of excellent design. 1.1 All participants must ensure the originality and ownership of the Intellectual Property, and have no or so far no occurrence or have properly handled intellectual property rights disputes with others. Therefore, DIA Committee requires each participant to provide complete related intellectual property evidence for each work, including but not limited to patents. For those works that have no application (records) for related intellectual property rights or have not been licensed, participants need to submit related intellectual property rights certificate in time after their registration for this competition. For those works that still not obtain proof of related intellectual property after winning DIA award, DIA Committee has the right to require the participants to make written promise to guarantee the originality of their works. If works are evaluated as involved in Intellectual Property disputes, DIA Committee has the right to retain or even revoke the entry's qualification; if works are evaluated as having defects regarding Intellectual Property, the Committee will recall all award certificates, trophies and honors etc. If any economic and reputation losses are caused by the defective works, the host and the organizers shall have the right to demand compensation from the participants, including, but not limited to economic loss, reputational loss, litigation costs, attorneys' fees, insurance fees, appraisal fees and other expenses. 1.2 The intellectual property of all entries is owned by the participants. The co-organizer of DIA Special Award will have the priority to transfer intellectual property of the Special Award winning entries. DIA Committee shall be free to use the registration information for award promotions. All entries shall be deemed to be non-confidential, except participants applying for a Confidential Evaluation by email within 5 working days after registration. The participants shall ensure the correctness and truthfulness of the registration information. Once submitted, the information cannot be revised. If there is any false information, the DIA Committee shall have the right to revoke the entry’s award qualification and honor, and recover prize money. The DIA committee and the jury have the right to adjust the entry category according to actual situation. Both the designer and the owner that comply with the Clause No.1.1 are eligible to registration. To avoid repeated registration, the participant need to confirm and coordinate with relevant units. The relevant units of the entry shall solve the ownership problem of award honor and prize money, thus the DIA Committee will bear no legal responsibility. If both sides cannot be coordinated within the stipulated time, the Committee has the right to revoke the work’s award qualification and honor, and recover prize money. The same entry is not eligible to apply for both DIA Award and DIA Special Award (including Design Yiwu and Design Shining). Once being found, the entry and related certificates will be disqualified. All DIA notifications will be released on the official website and registration system, and the participants shall pay close attention to related channels and respond promptly. Otherwise the participants shall assume the liability to any negative consequences of missing information or delayed-reply. 6.1 According to DIA Regulations, all shortlisted participants of preliminary evaluation are required to deliver physical products to the second evaluation site. Participants must strictly comply with the Entry Delivery Instructions, otherwise will be seem as withdraw the competition. All delivery fees caused by transportation, tariffs, insurance, etc. shall be covered by the participant. 6.2 All shortlisted participants of preliminary evaluation should fill in the delivery information in registration system for checking by DIA Committee . 6.3 To ensure the progress of evaluations and exhibitions, all entries will not be returned until the end of DIA Annual Exhibition. 6.4 All DIA evaluations and exhibitions will take place in professional locations and equip with standard delivery and storage infrastructures. However, the DIA Committee will not be responsible for purchasing insurance for any entry, and strongly advise all participants purchase by themselves. 7.1 The DIA Committee will return entries in July, and participates are responsible for shipping and tax fee. Participants who require special package or insurance, are required to apply by July 1 via email attaching with international shipping accounts (i.e. FedEx, DHL account). The DIA Committee will return entries after receiving your accounts. 7.2 All winners with prize money shall donate their physical entries to the DIA Committee. Entry requires further development should be sent back after finishing the development. Approved by the Committee, entry with difficulties for shipping such as boat, train and plane can be replaced by scaled models. All prize candidates must present the Grand Final hosted in Hangzhou, China, otherwise will be disqualified for the competition. All winners will be invited to attend Award Ceremony where certificates and trophies will be distributed. All consequences due to the absence shall be responsible for participates only. Prize money will be released after the award ceremony in accordance with the national tax provisions and processes in the current year. Domestic recipient can be unit or individual account, while foreign recipient can only be individual account. If the recipient is not the submitter, a written authorization issued by the submitter is required. 10. Participants shall be deemed to agree the terms above once submit, and the DIA committee reserves the right, at its sole discretion, to change, modify, add or remove portions of these Terms of Participation, at any time. 1. The jury shall operate entry in evaluation sessions. The DIA Committee shall not be responsible for any abrasion and damage caused by evaluation. 2. The DIA Committee shall not be responsible for any damage or loss if conduct the evaluation, exhibition, move and storage abiding by the Clause 6.4 of “Terms of Participation”. 3. The DIA Committee shall not be responsible for any damage or loss if return entry abiding by Clause 7.1 of “Terms of Participation”. 4. The DIA Committee shall not be responsible for any damage or loss due to force majeure as natural disaster, war and country policy. 5. Participants shall be deemed to agree the terms above once submit, and the DIA committee reserves the right, at its sole discretion, to change, modify, add or remove portions of these Terms of Participation, at any time.